This week provided two opportunities to observe outstanding young talents present their startup and entrepreneurial ideas while competing for recognition and prizes in the Chicago Innovation Ecosystem. Future Founders hosted the 4th Annual UPitch National Elevator Pitch Competition & Showcase on Thursday at 1871 in Chicago. 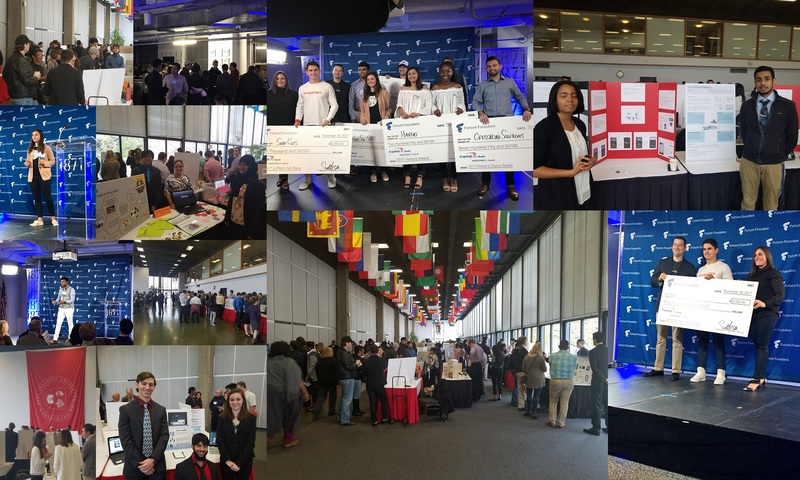 During the event, top students from universities all over the nation competed in the ultimate elevator pitch competition for incredible exposure, connections, and part of a $10,000 cash prize pool. The winners of the semifinals round presented their 90-second elevator pitches on a for-profit business or idea in the live Finals round in front of hundreds of people from the community and to a judging panel of top entrepreneurs, investors, and VCs. Future Founders immerses youth in experiences that inspire and empower them to create their own opportunity. They believe this leads to a generation more determined, hopeful and equipped as they engage the future. To date, programs have served over 33,000 youth as they empower the next generation of business leaders and entrepreneurs. Founded in 2012, 1871 was created to support Chicago’s digital startup community. Since that time, it has become the hub for the city’s thriving technology and entrepreneurial ecosystem. Today 1871 is the home of more than 400 early-stage, high-growth digital startups. Located in The Merchandise Mart, this 120,000 square foot facility is also the headquarters of nationally recognized accelerators, industry-specific incubators, tech talent schools, the Illinois Science and Technology Coalition — the state’s leading technology advocate, a number of Chicago-based VCs, and satellite offices for Northwestern University, University of Illinois, University of Chicago, Loyola University Chicago, Illinois Institute of Technology, DeVry University, and DePaul University. Chicago’s brightest digital designers, engineers and entrepreneurs are shaping new technologies, disrupting old business models, and resetting the boundaries of what’s possible. Illinois Tech offers an innovative and comprehensive approach to providing students with a real-world project-based experience – the integration of interprofessional perspectives in a student team environment. Developed at Illinois Tech in 1995, the IPRO Program consists of student teams from the junior through graduate levels, representing the breadth of the university’s disciplines and professional programs. The multidisciplinary IPRO team project course experience is offered via three platforms that provide students a variety of choices that tap their passion and disciplinary knowledge. IPRO projects also offer sponsors, community partners and other collaborators customized approaches to accommodate their interests. All three IPRO platforms are designed to achieve the same learning objectives and serve undergraduate students in fulfilling their two-IPRO six-credit-hour general education requirement. At the traditional end of semester IPRO Day event, IPRO teams from all platforms exhibit their work for the semester, with variations in how teams from different platforms are evaluated. A very inspiring set of events during which I was able to hear and see outstanding young adults showcase their innovation breakthroughs.